Macon, Georgia; Grind Hard is an artist who got his name from fans and onlookers recognizing how much work he puts in. 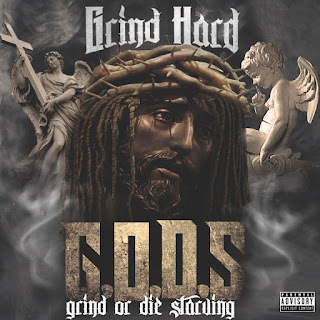 Today we present to you his single "Grind or Die Starving...G.O.D.S. ", track produced by ibeats.com. Grind Hard depicts an inspirational message that everyone needs to sit back, listen to, and grow from. He tells listeners that there really is only one choice, you either are going to "Grind or Die Starving" and that you need to MAKE A CHOICE. A beat that could have someone in the mind frame of another trap record, it shows that lyrics and message do matter. Grind Hard speaks on his past and unlike many other records, he isn't glorifying it, but he is letting it be known that regardless of trials and tribulations, you must Grind.